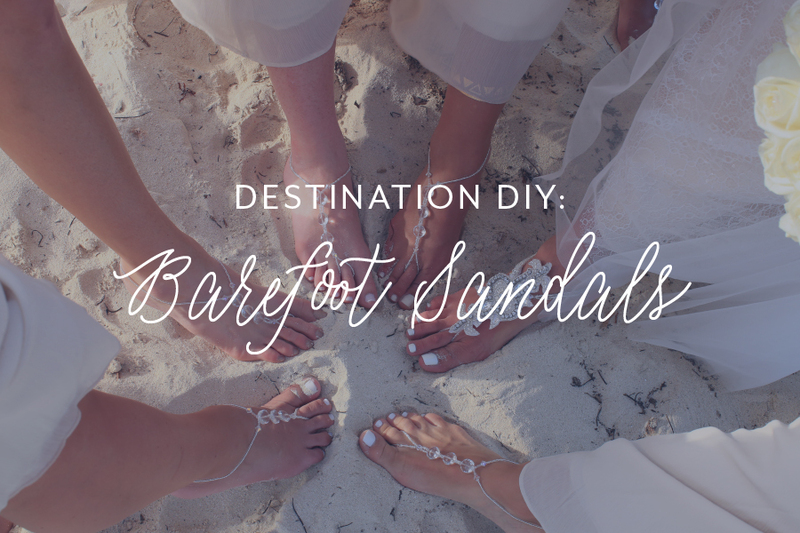 Barefoot sandals are the easiest options for shoes during a beach wedding. Simple and elegant, these beauties are created using elastic string, assorted beads, and scissors. 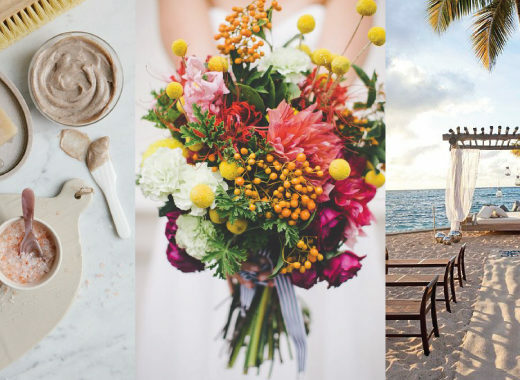 If you’re a fancy-free beach bride, this DIY project is for you! Use sharp scissors to avoid fraying at the ends of the string. We recommend using beads with some type of metallic or reflective quality to add an extra touch of sparkle to your wedding ensemble. Use a type of string that you are okay with showing. We recommend going with a skin tone, or something that accents the beads you have chosen. Measure how much string you need by wrapping it around your second toe and stretching both sides around your ankle. Tie a loop in the middle with a small knot. Add the beads on both sides of the loop in your chosen pattern. When you get to the top of your ankle, tie a knot to secure the beads in the middle. Continue beading the ‘straps’ until you can wrap the entire string around your foot. Tie off the very end and trim any extra string. 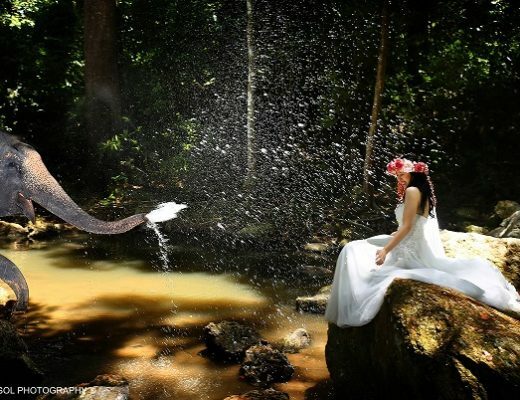 Click here for more bridal shoe inspiration and to see one of our bride’s very own handmade barefoot sandals!